How is everyone doing? Have you all been gearing up for the fall transition? I am currently getting over a cold and putting Fall Fashion looks together. 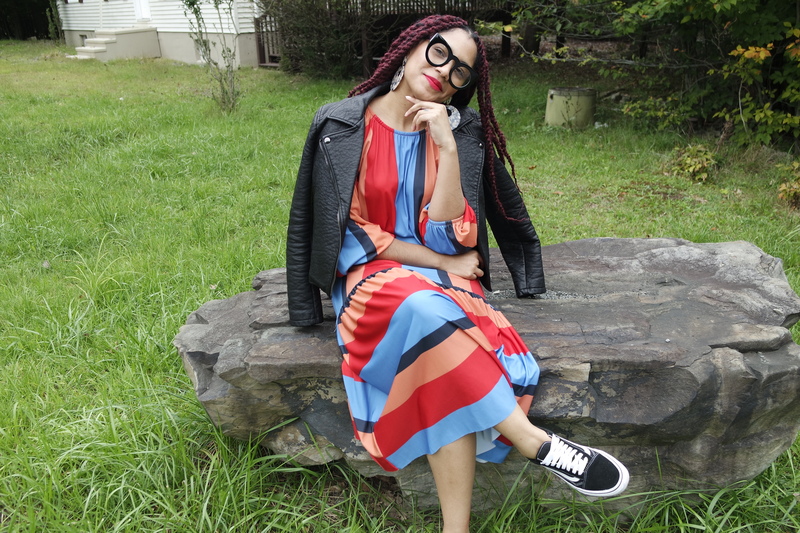 So I decided to share how I styled one ZARA dress, three ways! The dress is very shapeless but I loved the colors, and it was on sale. I purchased this during the ZARA Summer Sale back in June and have been holding onto it for Fall. Since it isn’t fitted, I decided to pull my shoulder out to add some sort of vibe! I thought about belting it as well, but maybe I can save that for another time. 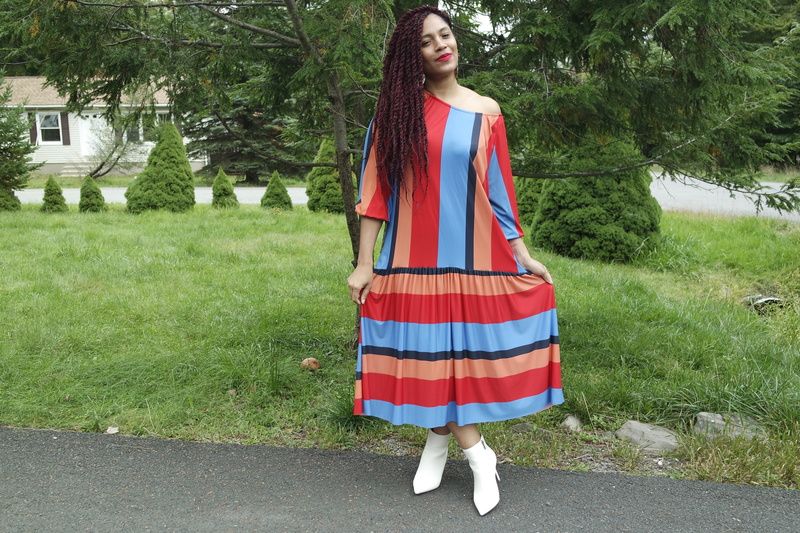 The bold stripes and the contrast of the white boots spoke to me, and here we have look one. When the temps start to drop, layering will be your friend. 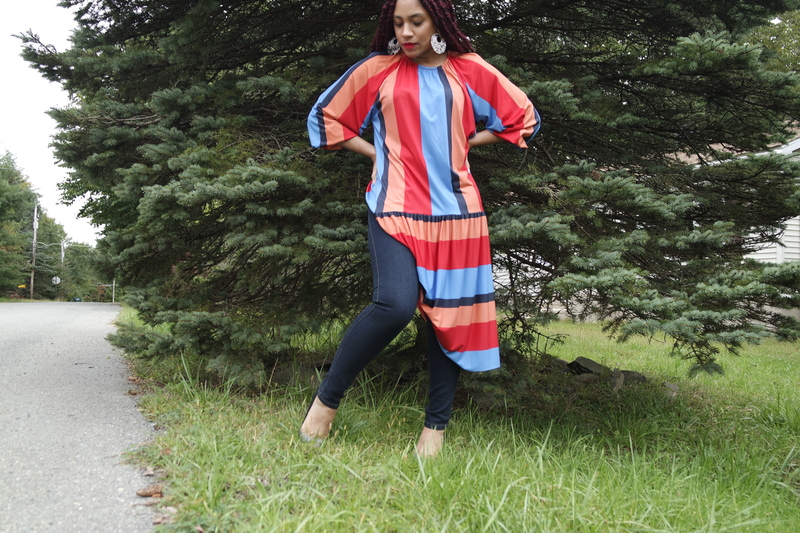 Instead of opting for tights or leggings, throw your dress over a pair of skinny jeans. I just tucked in the dress on one side, and here we have look two. I opted for simple pumps to elevate the jeans and this is one of my fave ways to style this trend. 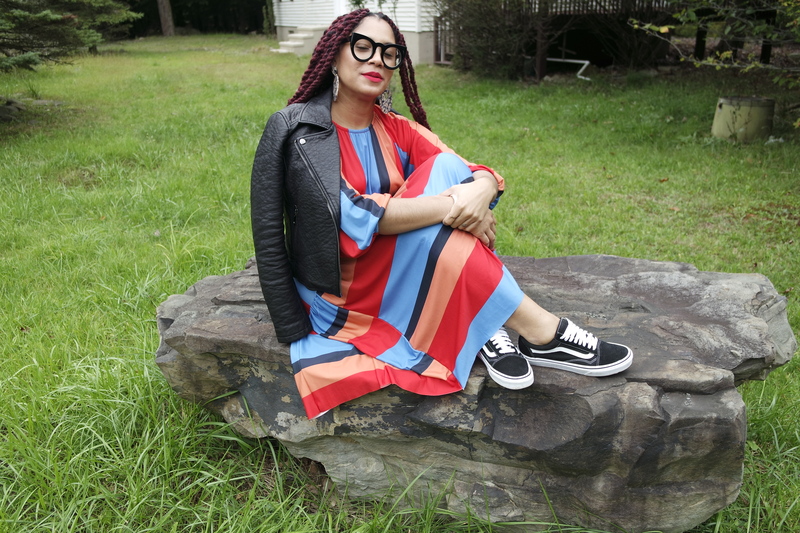 I am always thinking of ways to incorporate sneakers into my looks. It will forever be an option I will present here on 3TheChicWay because it’s the ultimate Mom on the go staple. So I decided to throw on some VANS and my leather jacket for a cool hipster chic vibe! Which look is your favorite? 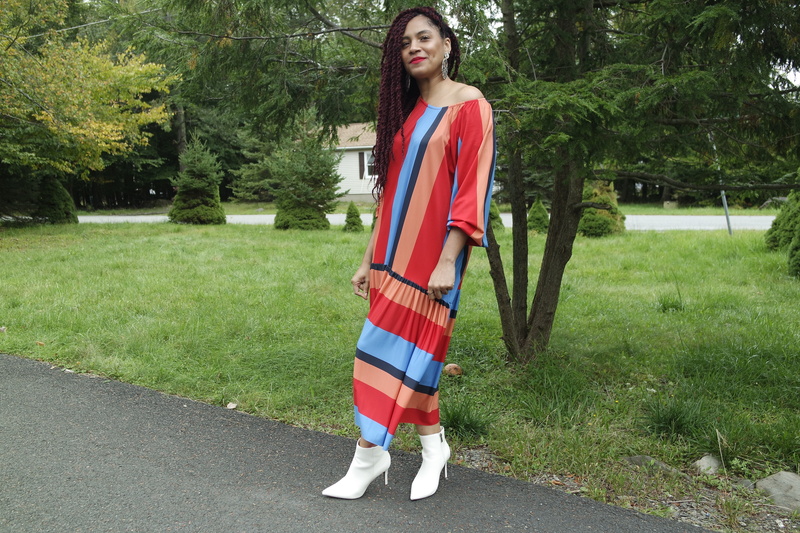 I hope I was able to help you learn to how maximize your wardrobe for the fall season! Thanks for reading, stay chic! My favorite is the white boot look . I will be rocking the hell out of my white boots again this year! Thanks for reading! LOL! Thanks for reading and stopping by!